J. Brown Jewelers has been in the family for three generations. This means that this is not just a business, but rather a labor of love for one family that you can immediately sense when you step into their store. 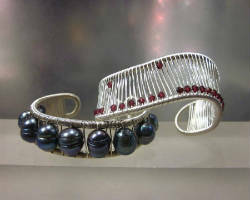 The store has a selection of bridal and designer jewelry but their specialty is in antique and estate jewelry. This is unusual, but makes this store unique as they hand select each vintage piece of jewelry that enters their store based on high quality standards and what they know their customers will love. Buying jewelry is an investment regardless of the price. You are buying something that will last forever as a representation of you and your partner’s love. 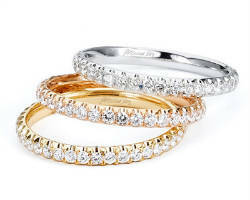 That is why Charles Nusinov & Sons provides a huge selection of affordable rings with finance packages available. Being a large store, they have designer collections, diamonds, watches, and jewelry of all sorts for men and for women. Not only does this store strive to give you the best options possible, but they also want to make sure you are confident about the jewelry you buy. Jewelry stores often order the best selling jewelry on the market without examining it for their particular clients and market. The owners at Amaryllis Jewelry select each and every piece you see in their store. This chic jewelry boutique is the home of affordable designer creations of every style. Not only does it feature the traditional combination of gemstone and precious metal, but also many of the collections they carry use precious stones, leathers, raw materials and crystals to create more unique pieces. Greenmount Loan & Jewelry Co is not your typical jewelry store. 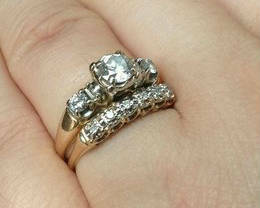 They buy and sell used and pre-owned jewelry and goods at the best rates possible. They are dedicated to making their customers happy and loyal whether they are selling or buying. This store offers a unique experience when shopping for engagement rings in Baltimore, MD. They have a full collection of brand new jewelry as well as vintage pieces, which they can offer at the lowest prices you will see at any jewelry store. 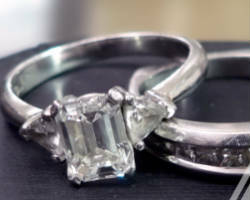 Couples have found their wedding rings in Baltimore at Nelson Coleman Jewelers for over 100 years. You simply cannot buy the experience of the sales associates and owners of this store; their industry knowledge is only earned with time. 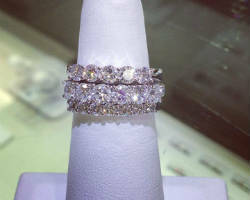 Their inventory includes loose diamond and gemstones, vintage pieces, designer jewels, and custom designs. In addition to this, they also offer jewelry repairs and restoration. 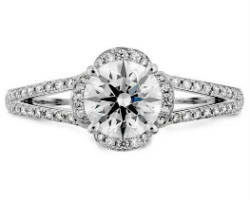 As the premier jeweler in the area, they are the first stop of any couple looking for classic rings. 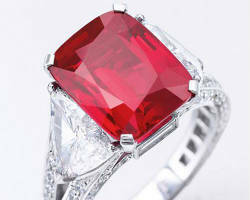 If you are looking for high-end jewelry, look no further than Radcliffe Jewelers. This store has the highest quality jewels and unmatched customer service. This store strives to provide customers with the best jewelry, watches, and even china and crystal. Whether you are a man looking to propose or a friend looking for a gift, you can find jewels and gift options for everyone. This is the premier stop in Baltimore for engagement rings that are unique and can also be custom designed. 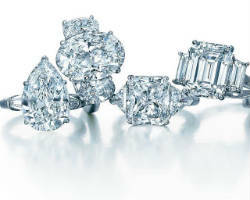 The Diamond Wholesalers has a huge assortment of affordable diamonds for you to choose from. With this, they do not want you to be shopping blindly, which is why they provide their customers with an education in the diamonds they sell. When buying diamonds, they encourage their customers to be wary of ‘The 4 c’s.’ Customers should look at the cut, color, clarity and carat-weight. When all of these things are in check, then you know you have a high quality diamond. Shipley’s Diamonds and Fine Jewelry specializes in making the moment you propose to your intended or say I do to your partner as special as possible. This is the reason this store has the best selection of engagement rings and wedding bands in Baltimore. They offer matching bridal and engagement ring sets that link together into one ring, 3-stone and solitaire engagement rings that will make any occasion or moment unforgettable. The modern and vintage styles they offer can meet the needs of any couple. The Baltimore City Paper called Samuelson’s Diamonds the ‘best place to buy an engagement ring’ in 2008 and their reputation has only been growing since then. This family owned diamond business began in 1922 and has since sold countless engagement rings and wedding bands to the happy couples of Maryland. With a long history in the business, the expert knowledge this family has gained over the years is at your disposal when you shop with them. They strive to treat each customer as a friend.